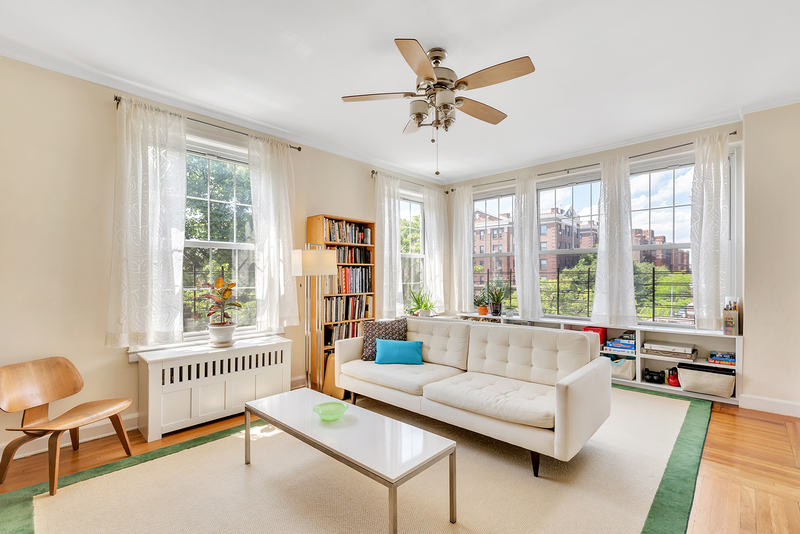 Four exposures provide stunning sunlight throughout the day in this beautifully maintained, spacious 2-bedroom, 1-bathroom pre-war gem. Perfectly laid-out, this apartment boasts an oversized sun-drenched living room with walls of windows that provide western and northern exposures. The large formal dining also provides double exposures as well as plenty of space for gracious entertaining. 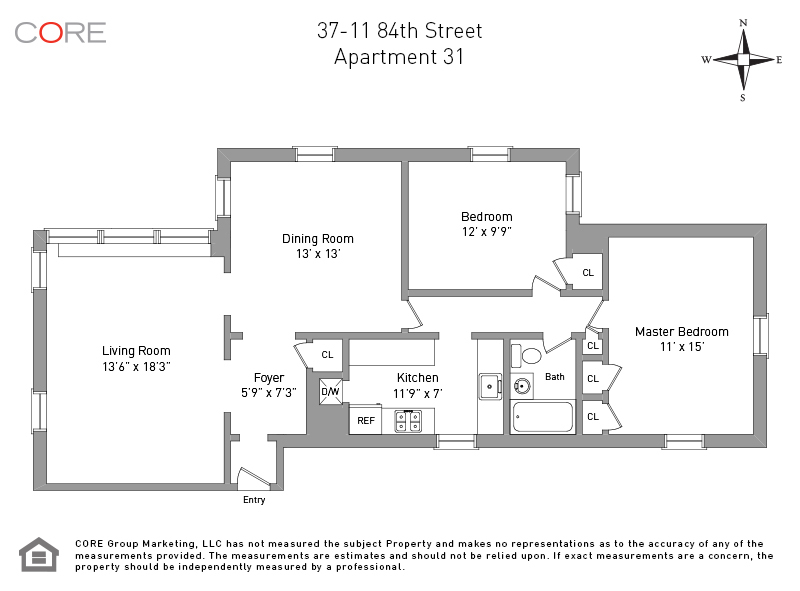 There are hardwood floors throughout the apartment and the kitchen and bathroom have windows. The kitchen features wood cabinets, stainless steel appliances as well as the original dry storage cabinet. Both bedrooms are well-proportioned and have double exposures. The master bedroom has breathtaking views of the beautifully landscaped shared garden and urban backyard. Storage abounds with five closets including a separate closet for linen. In addition each unit comes with its own dedicated personal storage unit in the basement.